The Earthkeeping Ministry of Holy Cross Lutheran Church believes that by teaching people about the root causes of hunger, we can mobilize others to join in solving hunger problems. We hope you will join us in donating a portion of the produce grown on these plots to local food banks. As a community, we will endeavor to teach others about how to grow and preserve food, how to buy locally for regional sustainability, and how to increase the taste and nutritional quality of household diets. The Holy Cross Lutheran Church operates a community garden open to members of the community and to the congregation of the Church. Plots are $75 per year for 100 sq. ft and $100 for 200 square feet. The garden is organic and no pesticides are allowed. Gardeners are required to contribute 10 hours of community service per year to assist with the maintenance of the common areas of the garden. Gardeners are encouraged to contribute extra produce to community foodbanks. For more information or an application, please call the Jan at 425-221-8544. Financial assistance is available. 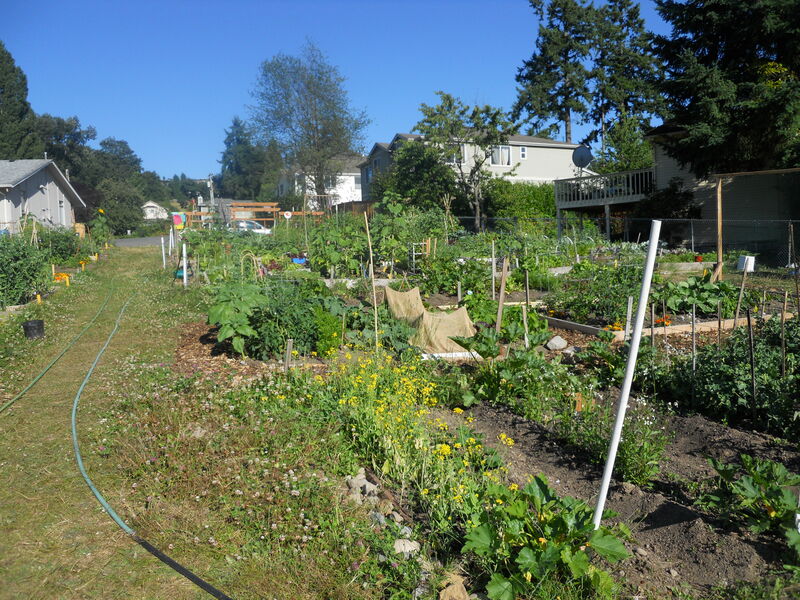 The garden, called Orchard Gardens, is located at 4315 129th Place Southeast, Bellevue, WA.